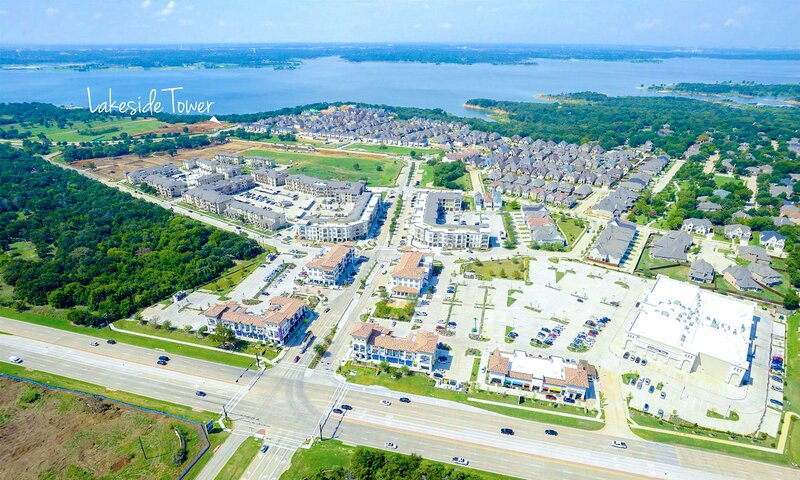 Construction has started on a condominium tower in Flower Mound, one of more than a dozen high-rise residential buildings being built in Dallas-Fort Worth. Yates Construction said Thursday that it has begun work on the 16-story Lakeside Tower overlooking Grapevine Lake. The Mediterranean-style condominium tower will have 48 residences. Four 3,000-square-foot bungalow homes also are planned next to the high-rise. Lakeside Tower will have a 25,000-square-foot pool deck above the parking garage, with resort-style lap pool, hot tub, outdoor bar, fire pits with lounging areas, gourmet outdoor kitchen, putting green and bocce ball court. Condos in the building will range from 1,345 square feet with two bedrooms and two baths, to 5,726 square feet with four bedrooms and 4.5 baths. Unit prices start near $600,000. About 60 percent of the condos have been reserved to buyers. The deluxe residential tower includes a wine room with a private dining area, club room and bar, movie theater, fitness center and steam room. Realty Capital has been working on the project for more than two years. It’s part of the mixed-use Lakeside development on Long Prairie Road.